At the moment I’m already three weeks into giving chakra healing. It’s amazing. It has renewed my life in several ways. For example in a very practical way. Last weekend we had some of my clients over in the morning for chakra healing. It was so nice to see how my clients interacted with my familie in such a light and loving way. Chakra Healing has brought light and love in my daily life in a way which blended in completely in how I was living before. Only now I’m also consciously meditating once a day to keep my healing capacity active to heal others. I’m using the term “chakra healing”, because people understand me in this way. Actually I learned it as “el toque zen” from Suzanne Powell. In this blog you can get an impression of how I experienced her course “el curso Zen”. I’ve already given Chakra Healing like 50 times, but I haven’t continued reading in the books of Suzanne Powell. Daily working and parenting life consumes me in a way that I don’t have space and energy to read. Which I absolutely love to do. But alas, time will come and it’s all about focus. I believe my curiosity killed the cat, I just wanted to experience Chakra Healing. After two weeks of practising it I felt a chakra turning in circles for the first time in my life. Kabaaam, that was it. From then onwards I knew what I was doing. I am channeling healing energy from the universe to stimulate the turning of the chakra’s, because in a healthy physical and emotional body the chakra’s are turning in circles. Over the past month I’ve guided highly sensitive women to receive the sound of their soul during rebirthing sessions. It’s that “Aaah” sound pushed forward by contracting the abdominal muscles. It has been an amazing journey hearing different soul-sounds. After several tries each and everyone of them carried out their sound effortlessly. 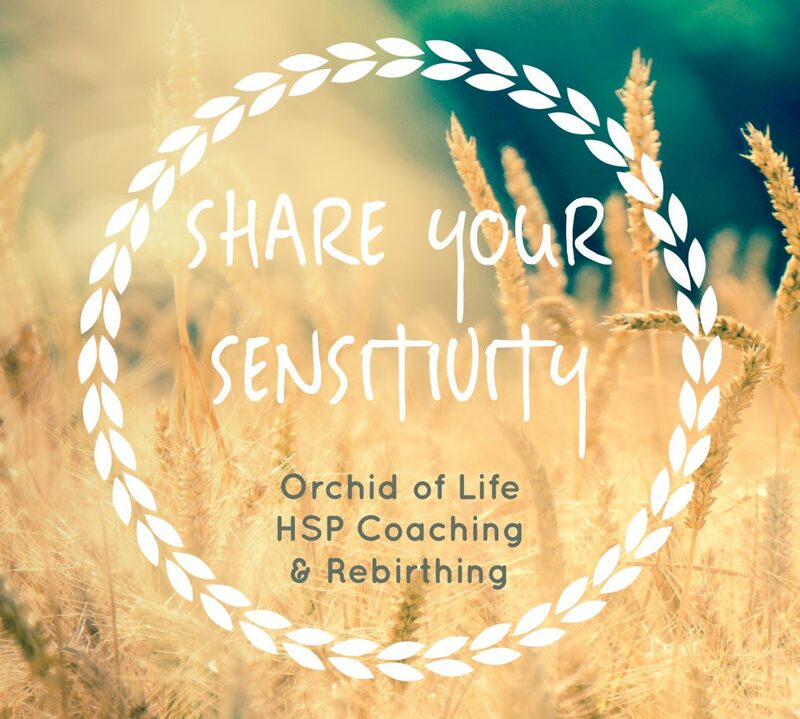 All of them struggle in their own way with their highly sensitive identity. What makes them struggle? It’s because they feel, think and act out of pain. Pain of their parents to which they were exposed when they were a child and pain which was caused in them. The pain is a mixture of sadness, anger and fear. It’s the pain which makes them behave like their parents expect them to behave. Rebirthing is a simple breathing technique which connects people with their body, with their own energy. During the process they will slowly rediscover their own energy. The one which can be described as inner peace, wisdom, strength and calmness. During the first phase the attention goes out to process every emotion which covers your own energy from sparkling love and abundancy. Guiding the sound of the soul is an intervention which I use when people experience a high level of physical tension which doesn’t find a natural way out through crying. Hearing the sound of these women was amazing and impressive. These women weren’t used to using their own voice to stand up for themselves, to choose for themselves. After having heard the sound of their soul they were in awe of the power they felt flowing through their body. At the beginning it was kind of strange to hear my own sound. After a couple of times I noticed how it got my body moving from within. The tension flowed away. The pressure on my belly disappeared and a warm feeling appeared. When I think back to the session of yesterday I feel lots of sadness. Fear. I am afraid of the power within myself. Why? Why is this power not allowed to be there? I am afraid for my own voice. It does happen often over the phone that people don’t understand me. I find it hard to speak up and to speak clearer. The session was heavy, I can’t remember if I have felt this tired at the beginning of this session compared to previous sessions. I didn’t want to say “A”. When someone else acts weird it’s fine, but it’s not something I would do. And this loud, I do not dare. And what if I can’t produce any sound? I felt stuck. Then you offered me a way out. This activated another part within me: I wanted to go through this fear. It was still scary, but hidden behind your “A” I managed to go along and produce a sound. This session was absolutely special. Beforehand I knew I wanted to continue with the sound of my soul. It was allowed. My first try didn’t go well. My head was interfering too much. Afterwards it went better and I started to enjoy to play with the sound and follow you. After having cried a couple of times I decided to scream it off of me. To produce the same sound as in the sessions in your practice. Anger arose, frustration and while I was producing the sound I hit hard on the bed with my fists. A specific characteristic of the sound of the soul is the easiness with which it leaves your body. The sound keeps on coming from the belly without any effort. Easy. This level of easiness is a reflection of how you can lead your life while sharing your own voice, your opinion. Are you interested in getting to know the sound of your soul? Make an appointment for an introduction session. Working via videoskype is possible.